The Best Bathtub Cleaning Tips to Avoid Scratches. Walking into a clean bathroom is a treat for the senses. Soaking in a bath after a long day is what most of us look forward to. However, your bathtub does require a thorough cleaning every now and then. 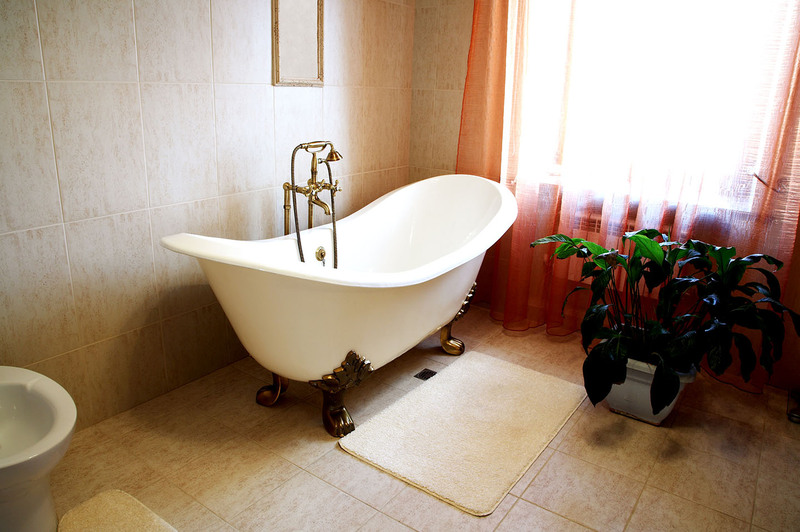 Read on to see how you can maintain your bathtub’s pristine condition. Cleaning a bathtub isn’t rocket science, but it does require scare. Many cleaning equipments can scratch, scuff or chip the material. Some sanitizing solutions can also discolor or dissolve bathtub material, which can lessen longevity of use. Check out our tips on how to clean your bathtub without damaging it! What material was used to make/reglaze your bathtub? What solutions, detergents can be safely used on your tub? What extent of cleaning does it require? Knowing what material your bathtub was manufactured from will help you shortlist the products and the equipment you can use. Certain solutions need to be rinsed immediately while the others can be sprayed and allowed to sit – soap scum, rust and clogs are not what you want to deal with. However, if your bathtub has mold, retained water, and needs a heavy duty servicing, call up a professional from Everglaze Coatings and let them take care of this for you! Use acrylic safe products and soft sponges to clean your tub. You can use a simple dish sponge or a soft towel dipped in hand soap or dish soap to lightly wash the surface. 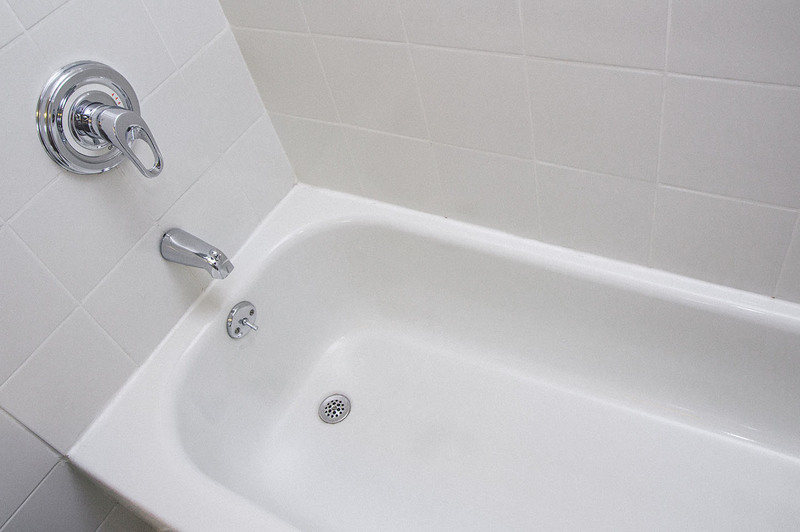 Avoid using corrosive chemicals like thinner, acetone and strong cleaners like Comet or Ajax – these will deteriorate the acrylic finishing and leave you with a faded and unsightly tub! Don’t forget to fully dry and check for stagnant water to avoid water spots and mold! Once a week, take a soft cloth dipped in dish soap and go over your tub before rinsing it well. 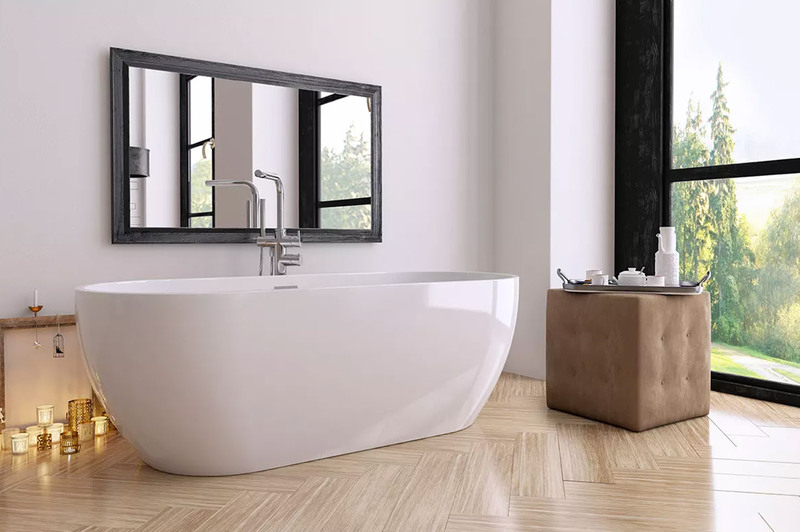 If your tub has deep stains or caked compounds, you can use turpentine and nail polish remover – spray lightly on the area for a few minutes before wiping it clean. Again, be careful about drying it well! For these high maintenance beauties, you should only use mild hand/dish soap with a soft sponge to clean the surface. Or better yet, call a professional and consider a reglazing – it will increase the bathtub’s usability and renew it like you just bought it yesterday! Bathtubs and their fixtures come in various sorts. Mild, weekly cleaning can be done on your own with the tips provided above. But if you’ve got a busy schedule, let Everglaze Coatings take care of that for you!